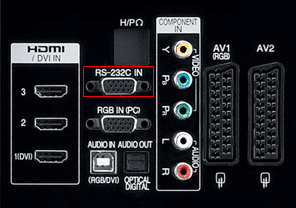 Does your display have an RS-232 management port? Are you using Android player hardware with an available USB port? If so then read on to learn how to remotely control your display volume, inputs, power, etc. all from within RevelDigital. The primary advantage of enabling display control is cutting power usage. Once configured, the RevelDigital players will power off the attached display when not scheduled to play anything. Keeping your displays powered off during off-peak or closed hours has the potential for substantial savings in power usage and increased longevity of your displays. A few other interesting things you could do..